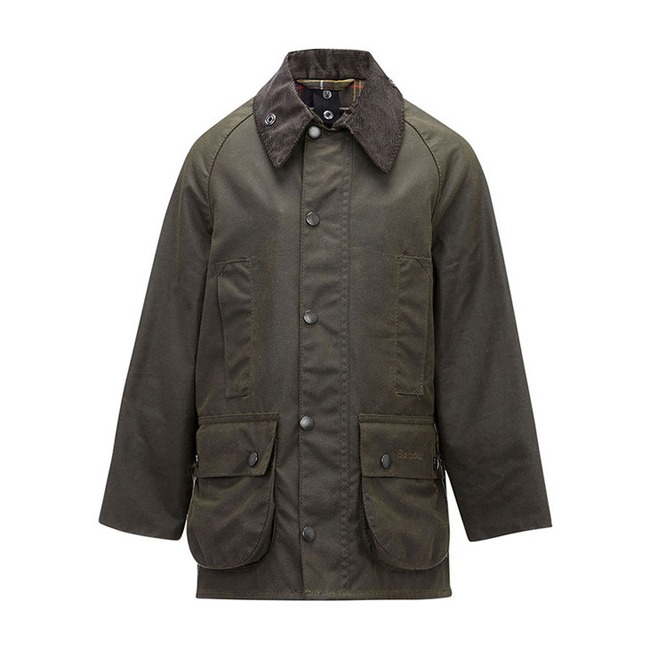 The iconic Barbour wax jacket, the Beaufort has been scaled down to make a ‘mini-me’ version especially for boys, featuring all the same classic details. Made with a mediumweight Sylkoil wax, the boys' Beaufort is extremely water-resistant and great for winter, with a traditional corduroy collar that’s interactive with the wax hood for extra weather protection. I got this for my 11 year old Daughter, got the XS bit on the big side but she loves it all the same, sure she will grow into it, well enough made good value for the price of the jacket..